> $30,000.00 handed over to my HAPPY Temecula Short Sale Client. 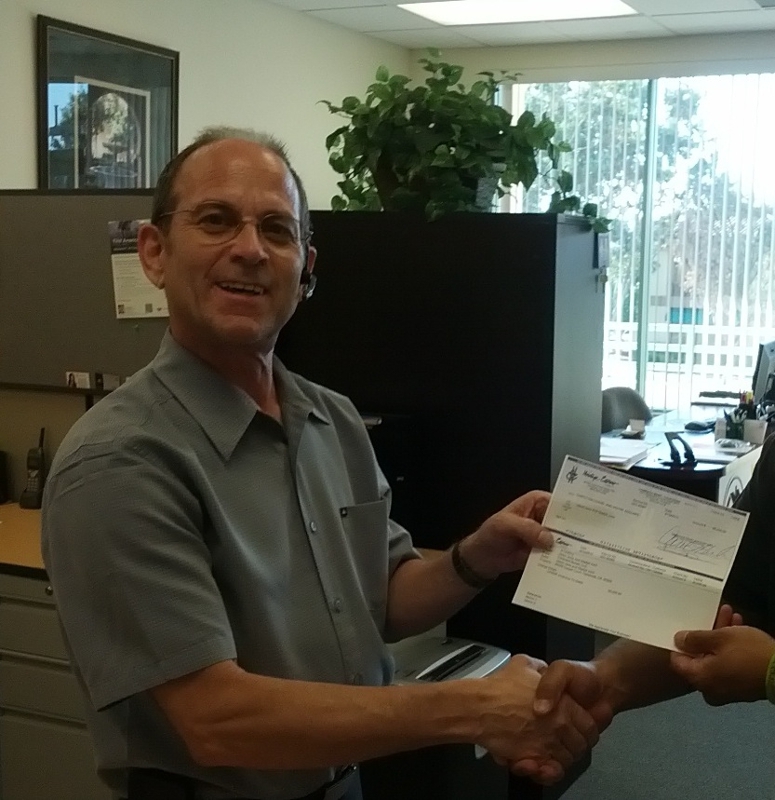 $30,000.00 handed over to my HAPPY Temecula Short Sale Client. Today I was very happy to be able to hand over a check for $30,000.00 to my camera shy Temecula short sale client ofter the close of a hard fought short sale. This check came from Chase bank after a most challenging short sale with Chase bank and Real Times Resolution. Getting these two banks to agree on the terms of this short sale took over 6 months of tough negotiations. Two flat turn downs,three sale dates set and postphoned and a lot of blogging to the social powers of the press. Oh did I also mention three different buyers! I pursisted and won big time for my clients! Another home saved from foreclosure.